After six years of fairly solid cruising we needed to be land based for a longer period than normal and tick off a few extra jobs back home. Seven months have literally flown by filled with a lot of work, a cyclone, visits from interstate and international friends and a lot of special occasions in the company of family and good friends that we have missed while cruising on the other side of the world. 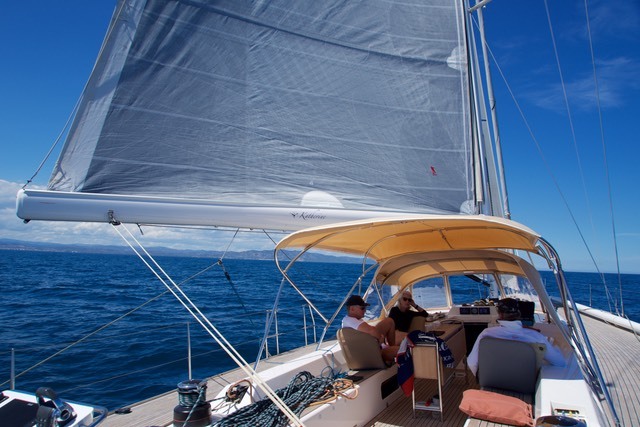 After returning to Katherine in January we squeezed in a visit to Magnetic Island In Queensland. Along with Andrews brother Ian and his family we were joined by Andrews aunt and uncle and their daughter Fiona. It was the official beginning we decided of the Festival of Ron - celebrating his 80th birthday. 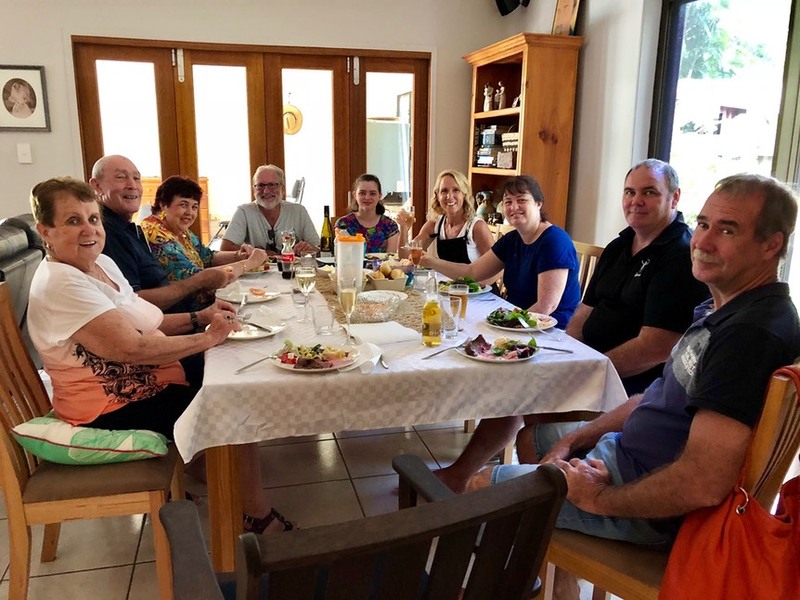 A week of good food, wine and way to much chocolate - if that is possible - were consumed whilst sharing stories of the Boller family from the past, indulging in sister Jenny's sweet treats and Ian and Shan’s hospitality back in Townsville. 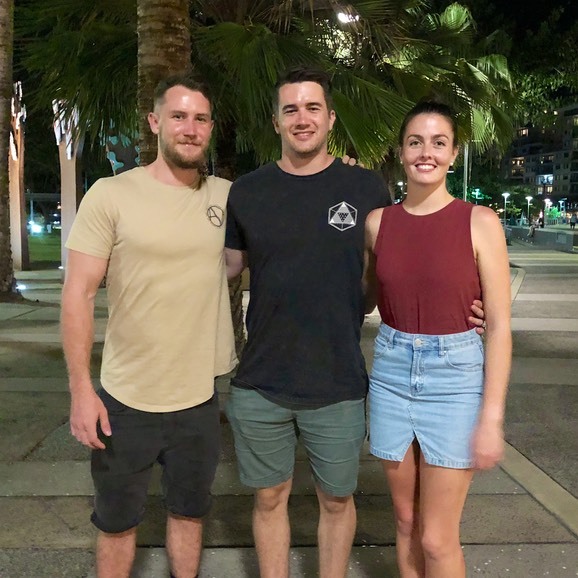 February saw the arrival into Darwin of Dan and Kim Haigh from Canada. What a temperature difference - from minus 31 to plus 35 and 90% humidity. Thankfully they had acclimatised to Australia whilst motor homing around Western Australia in the midst of a heat wave. 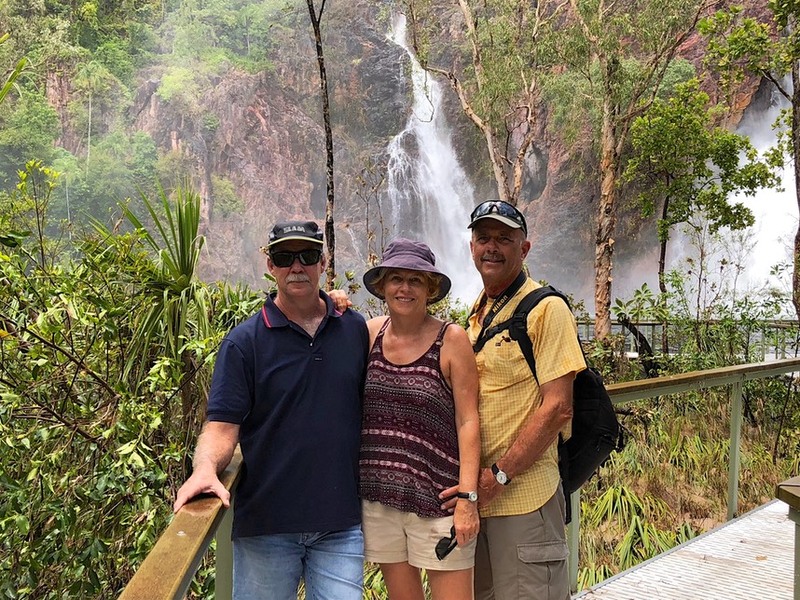 Though not the normal time for visitors to arrive into Darwin the wet season does have the bonus of seeing our waterfalls in full flow, spectacular lightning shows and torrential downpours that have to be experience to be believed. It was great to share our home with them and to show them a little of our backyard in the Northern Territory. 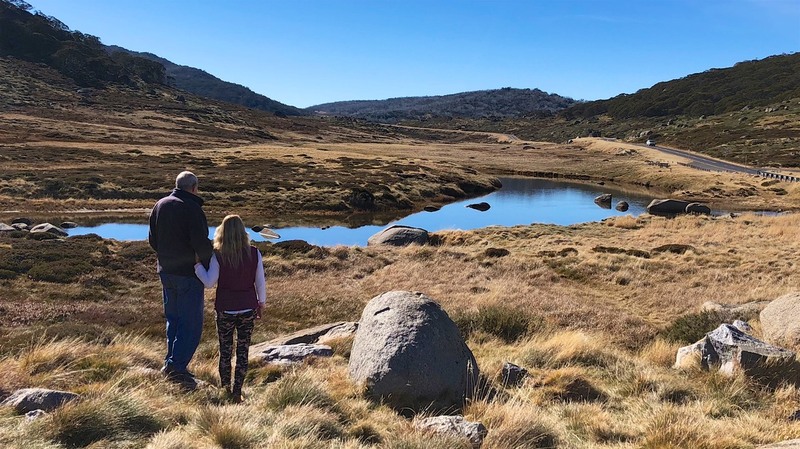 In late April we headed to Jindabyne NSW home of the Snowy Mountains Hydro Electric scheme. The Snowy River Scheme had run over 25 years from 1949 and is to this day seen as one of the greatest engineering feats in Australian history. It involved the construction of 7 power stations, 16 major dams, 149 kilometres of interconnected tunnels and 80 kilometres of aqueducts. The scheme was developed to provide electricity to the National grid and as a secure water supply in periods of drought for the dryer inland regions of Southern Australia. Here we met up with Ron and Marie again to officially celebrate his 80th birthday with their family. Ron had worked on the Snowy River scheme as a Structural Engineering Draftsman on Tumut 3 Power Station from early 1966 to early 1968. 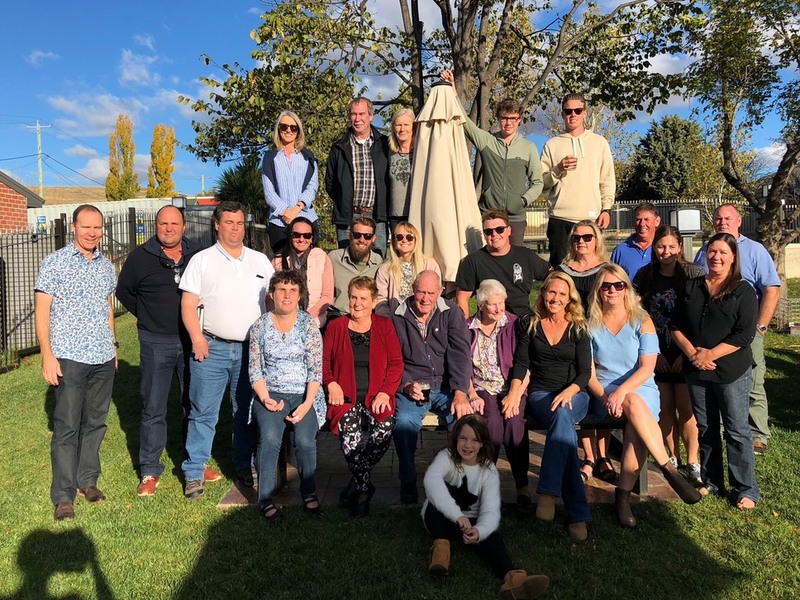 It had been over 15 years since Andrew had been with his cousins and their families and the weekend spent touring the region under the guidance of Greg was simply amazing. 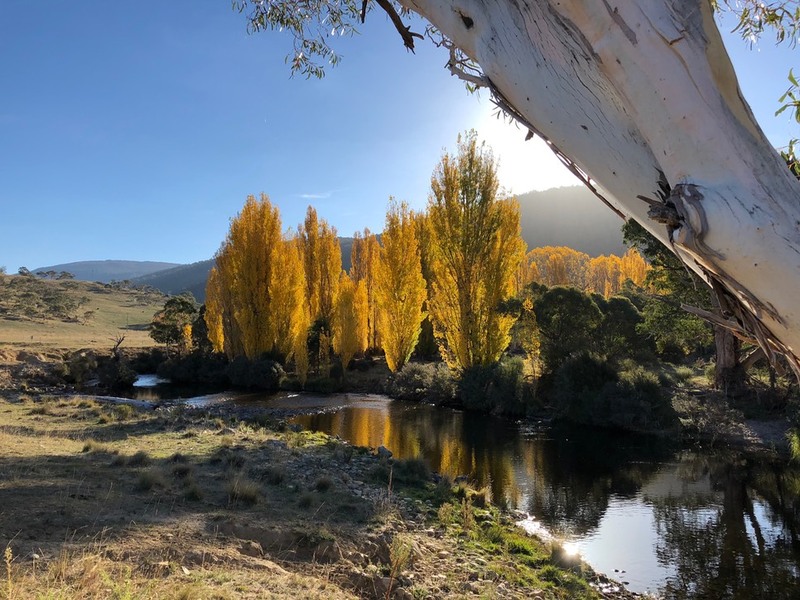 The scenery around Jindabyne and Thredbo was stunning particularly with the Poplar trees glowing with their golden leaves ready to drop as winter approaches. Our timing was perfect as a cold snap brought snow the following week, something that we weren’t prepared for coming from the North. 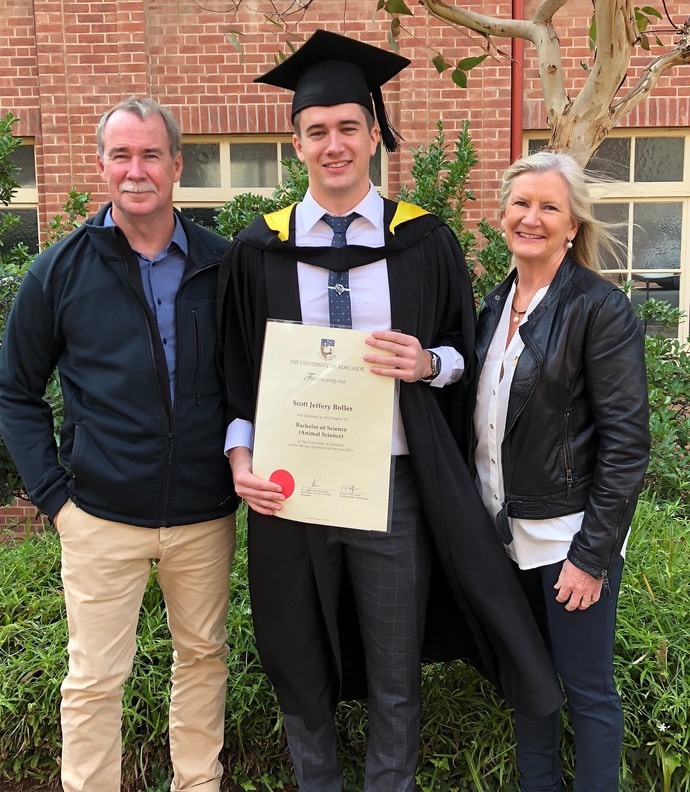 May saw us on the plane again this time to Adelaide to see our son Scott graduate from his Batchelor of Animal Science Degree. A great achievement and we were very happy to be in Australia to share the experience. The first degree but not the last as he continues his educational journey. A surprise 50th mid May was a great opportunity to head for Crab Claw. A “resort” located on the south-western side of Bynoe Harbour just 130kms by road from Darwin. In all our time in Darwin we had never visited Crab Claw as we aren’t keen anglers and this area is definitely home to the fisherman. We would have to say the resort though clean and tidy was rather dated and the dust that you had to digest whilst consuming your breakfast out by the bbq didn’t really appeal. 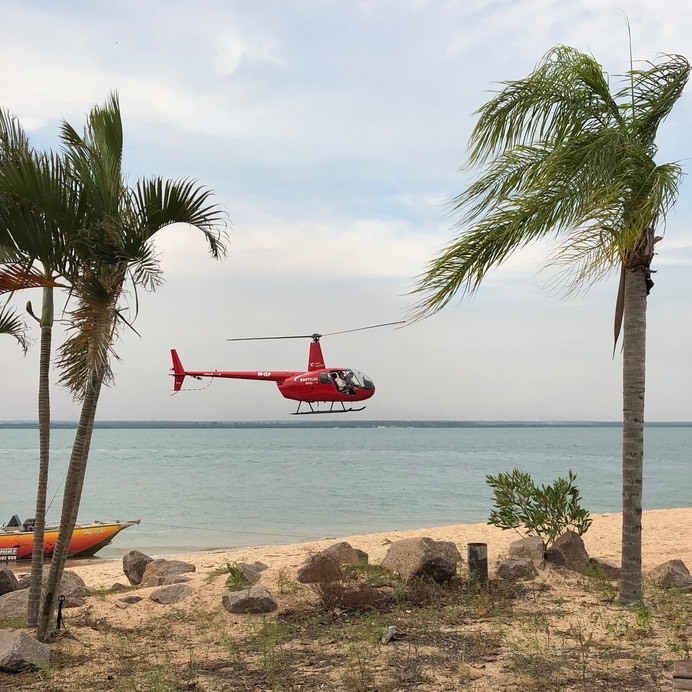 The scenery however was stunning, the smile and shock on Paul's face as he was delivered by helicopter after a day of heli fishing to a waiting crowd of friends, and a great night of music and company made it the perfect location and experience. Rose his wife had pulled off the ultimate surprise 50th. Before leaving Darwin we had to take in one final sunset at our local sailing club with friends. 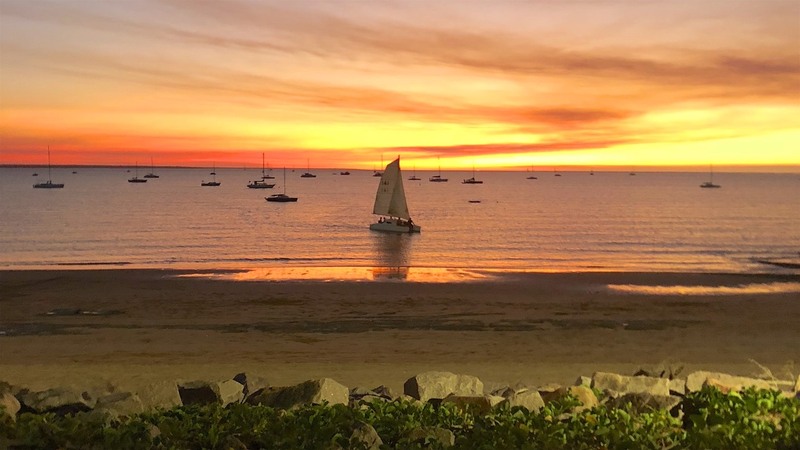 No matter where we travel I have to say I believe the ambience of our Sailing Club in Darwin and its view of the harbour on sunset is truely hard to beat. With jobs done, friends farewelled, and bags packed it was back on the plane and the long haul to rejoin Katherine in Cartagena. So here we are back onboard and cruising again. We look forward to sharing our journey for our 2018 season.